What Is Huggable Teddy Bear Urns? The teddy bear is a soft toy which is made with soft material like textile and cotton. Their softness along with smoothness makes us to hug teddy bears. Children will love their soft teddy bear so much. Incase if child who loves teddy bears had expired then parents can select teddy bear urns to store funeral ashes in their remembrance. How to Use Teddy Bear Urns? It is a good idea of having your loved child cremation ashes in huggable teddy bears. Whenever you recollect memories of your child then you can simply hug this teddy bear urn in the remembrance of your kid. The teddy bear urn looks like a regular teddy bear, but it have zippered hidden opening at the back side with a box for the ashes. Teddy bear Urn includes token amount of your baby cremation ashes. These urns are very beautiful and designed by skilled artisans. This is the best way to give a good remembrance of your child or baby. 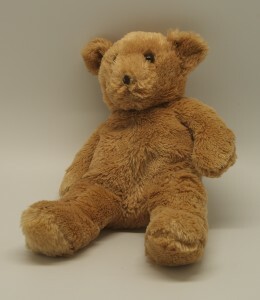 Teddy bear urns are available in different sizes and colors. It is used as huggable memorial urn of your child or baby who expired. It will fulfill your child promises after final journey. We are offering blue teddy bear brass urn, which is finished with teddy bear engraved on child memorial brass urn instead of soft toy. It is one of the top selling products in UK market. What are Keepsake Urns for Ashes & Why We Use These? Keepsake cremation urns are also called as mini urns. Keepsake memorial urns are designed to hold the token amount of the cremated remains of your loved one’s for remembrance. In UK market, these products are available in different styles, designs and materials which can be purchased as a single urn or set of keepsake urns. What are keepsake urns? How do they differ from other cremation containers? These urns are easy to carry from one place to another. The keepsake urns are small in size, placed in a small velvet box, which looks very beautiful. And these can be placed in houses as a decorative item which remembers the memories of loved one. Generally one pound weight of ash will occupy one cubic inch of space in urn. It stores token amount of funeral ashes safely. Keepsake urns are available in wide range of designs, materials, themes and styles. Some of best materials of keepsake urns are brass, bronze, wood and glass. Most of the people are interested to buy brass keepsake urns and wooden urns with attached photo frames. 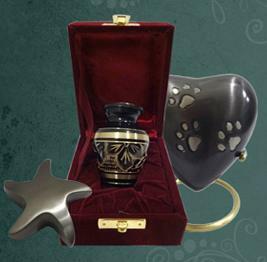 Keepsake urns are uses for adult ashes and pet cremation ashes. Keepsake urns for adults are available in different designs and pet keepsake urns are available with pet sculptures and pet paw prints on mini urns. Heart shaped keepsake urns with stand are also available with various designs and colours. Jewelry keepsake urns are also available in pendants, necklace, lockets and bracelets. You can wear Jewelry urns by keeping the token amount of cremation ashes of loved ones. Jewellery keepsake urns are available in gold, silver and stainless steel materials to buy. Browse all the keepsake urns and select your product then order or choose your loved one liked product or select themed mini urn to store cremation ashes. William Ewart Gladstone was a British Liberal politician in UK. In his career enduring over 60 years, he was elected as Prime Minister for four times i.e, 1868–74, 1880–85, February–July 1886 and 1892–94, more than any other politician. He was resigned as prime minister last time at the age of 84. In 1859 ,the Peelites combine with the Whigs party and the Radicals party to form the Liberal Party. William Ewart Gladstone was born on 1809 December 29th at place of Liverpool, Lancashire, England. He was died on 1898 May 19th (at age of 88) at Hawarden Castle, Flintshire, Wales. His father was Sir John Gladstone and mother was Anne MacKenzie Robertson. 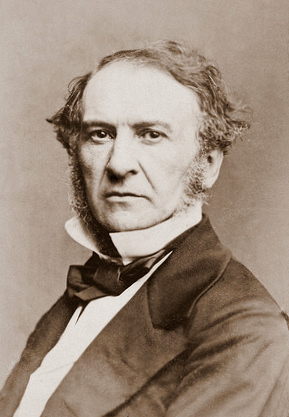 Gladstone was forth son to Sir John Gladstone and Anne MacKenzie Robertson was second wife to Sir John Gladstone. William Gladstone was studied from 1816 to 1821 at a preparatory school at the vicarage of St Thomas’s Church at Seaforth, which was near to his home. He read Classics and Mathematics at Christ Church, Oxford in 1828, although he had not much interested in mathematics. In December 1831 he got the double first-class degree. Gladstone elected as President of the Oxford Union debating society. Gladstone was married Catherine Glynne, they gave birth to eight children together. In December 1834, he was selected as a Junior Lord of the Treasury in Sir Robert Peel’s first ministry. He shaped his unique mark from the start and support junior offices in Robert Peel’s government of 1834 – 1835. Although he was interested in liberalism and slowly moving towards to liberalism. In 1843 Gladstone entered Peel’s Conservative cabinet. In September 1842, his left hand forefinger was cut in an accident while reloading a gun. From that incident he wore a glove or finger sheath. 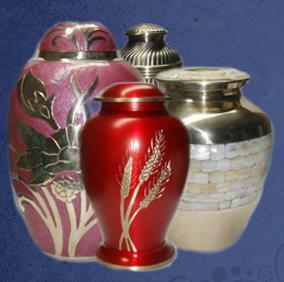 Cremation urns ashes are selling cremation urns in wide range of designs, sizes and styles. We are selling beautiful and unique funeral urns for ashes. When you are facing with death of your family member or cremation of your loved one’s, a small work such as choosing the suitable funeral urn can be emotional stress. Just we are here to provide you best products and satisfy your needs. At CremationUrnsAshes we perceive the difficulty and emotions concerned in making these final choices that is why we are trying to offer memorial options in so many designs, styles, sizes and brass materials. We started this to provide beautiful and unique memorial urns as per our customer satisfaction. Select the funeral urn product which meets your needs and then order the product. Our memorial urns will fulfill your loved one’s promises. We are selling different designs like adult size urns, brass metal urns, different colors, mini size urns, heart shaped urns for your loved one’s and star shaped urn. Cremation is a final journey in every one’s life, so make that final journey of your loved one to cherish with our funeral urns ashes products. 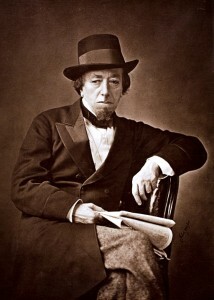 Benjamin Disraeli was 1st Earl of Beaconsfield and he was a British Conservative politician, novelist, writer, British statesman, aristocrat and he was elected twice as prime minister. He played a great role in the formation of the modern Conservative party, described its policies and its best. He worked as prime minister from 20th February 1874 – 21st April 1880 and 27th February 1868 – 1st December 1868 under monarch of Queen Victoria. Benjamin Disraeli was born to Italian-Jewish parents on 21st December 1804 in London, United Kingdom and Died on 19th April 1881 at aged 76 in London, United Kingdom. His father was Isaac, a Jewish Italian writer. He started education at the age of 6 years old as a day boy in dame school in Islington. After two years, he was sent to boarder to the Rev John Potticary’s school at Blackheath. He was very affectionate towards his sister Sarah. At the age of 20 Disraeli lost all his money in stock exchange. In the year 1839, Disraeli was married to Mary Anne Lewis and she was widow of Wyndham Lewis. 12 years Disraeli’s senior, Mary Lewis had a good income of £5,000 per year. Disraeli had 4 siblings; they were Sarah, Naphtali, Ralph and James. In the year 1852, the Prime Minister Lord Derby gave chance in British government as Leader of the Commons and Chancellor of the Exchequer to Disraeli. Derby was resigned as prime minister in 1868, after this Queen Victoria called Disraeli to become a prime minister. In 1874 election, he elected again as a prime minister for second time. Field Marshal Arthur Wellesley was First Duke of Wellington. Arthur Wellesley was a British soldier and statesman. He was a native of Ireland from the Anglo-Irish Ascendancy. He was one of the famous military and political celebrities in 19th century. Arthur Wellesley was unremarkable student at Eton. He participated in the war against the French in Flanders. In the year of 1796, he went to India. 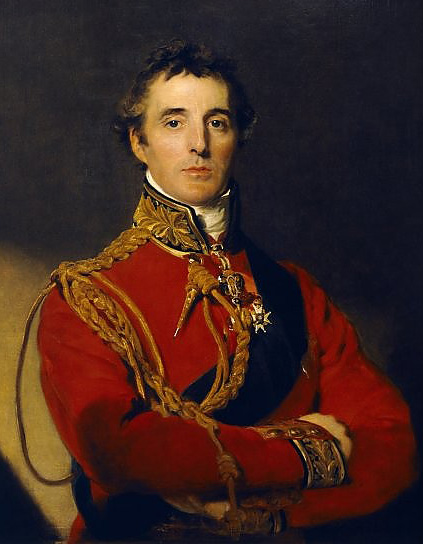 Arthur Wellesley was born on 1st May 1769 6 in Merrion Street, Dublin, Ireland and died on 14th September 1852 at age of 83 in Walmer, Kent, United Kingdom. His parents were, father who was 1st Earl of Mornington and mother was Anne. Wellesley was married Kitty Pakenham on 10th April 1806 and had two children names were Arthur, Charles. Wellesley achieved appreciable military success such as he fought in the Mysore War against Tipu Sultan. During the defeat of the Mahrattas he achieved a great victory at Assaye in the year of 1803. He took long leave from the British army and in year of 1806 he was elected as Tory member of Parliament for Rye. After one year, he was elected as MP for Newport on the Isle of Wight and then was appointed to perform duties as Chief Secretary for Ireland, under the Duke of Richmond. In the year 1808, he took control of the British, Portuguese and Spanish military forces in the Peninsular War in between 1808 and 1814. At the end of the war, it was forced to withdraw occupation of French from Spain and Portugal. Queen Victoria was the queen and monarch of the United Kingdom of Great Britain and Ireland in between 20 June 1837 and until her death. From 1st May 1876, she was started using the additional name to her actual name i.e, Empress of India. Queen Victoria was born on 24 May 1819 at Kensington Palace, London, died on 22 January 1901 at the age of 81 in Osborne House, Isle of Wight and burial at 4 February 1901 in Frogmore, Windsor. Her Father was Prince Edward, who is Duke of Kent and Strathearn and mother was Princess Victoria of Saxe-Coburg-Saalfeld. Queen Victoria was got married in 1840 with her first cousin Prince Albert of Saxe-Coburg. Their 9 children were married to royal families and noble families across the continent of Europe. Queen Victoria annoying all of them together and got her nickname was “the grandmother of Europe”. Victoria learned drawing, painting and educated by a governess at home, she was a natural diarist or journalist and wrote a regular journal throughout her life. 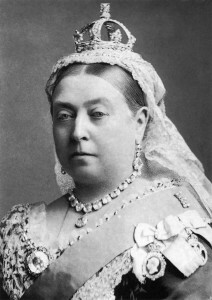 Queen Victoria is correlated with Britain’s great age of industrial expansion, economic progress and empire. After her death, British people was said, Britain had a worldwide empire on which the sun never set. Her marriage to Prince Albert and gave birth to nine children between 1840 and 1857. Victoria had great attachment with her husband and she went into depression after he died in 1861 at her age of 42. She had lost a loved husband and her most principal believed adviser in affairs of state. For the rest of her life and reign she wore black cloth in her dressing. After these, she was appeared rarely in public but she didn’t neglect the official works as queen. Getting a personalized pet urn is one way to celebrate/ honour the life of your beloved pet. Pet urns are available in the market in a wide variety of style and range. Price of these urns varies depending on the size and design chosen. The first thing you need to consider while choosing a pet urn is the size. Larger pets will need larger urns. The second thing to think about is what would honour your pet- a simple urn with an image of the pet/ or an inspirational quote on it? Finally the urn material! Now a days all sorts of materials are used for making pet urns. Choose an elegant urn that will remind you of the love and happiness you shared. Approach do it yourself retailer to customize your pet urn. Urns can be customized with your pet’s name/ date of birth-death/ image/ your favourite quote/ prayer. You can also think of making a pet urn on your own; a better and far more personal tribute to your beloved companion, isn’t it? Get necessary items from the nearby crafts supply store and make an urn as unique as your pet itself! If you are good at woodworking, make a handcrafted wooden box to hold your pet’s cremains. Apply a coat of clear spray-on-acrylic to seal and protect the urn. You can personalize it by carving your pet’s name on it/ pasting pictures and other embellishments onto the urn. You can also consider making pottery items to use as pet urns. You can really get into customizing the piece by painting it and thereby making it a unique creation. You would be proud to display it too! Henry VIII was the king of England from 21st April 1509 until his death. He was born on 28th June 1491 and died on 28th January 1547 at the age of 55 years old. He was the British lord and later suppose to the kingship of Ireland, as well as he continued the nominal state by the English monarchs to the kingdom of France. Henry was the second monarch of the Tudor dynasty, achieved the desired aim of his father, Henry VII. Henry VIII father was Henry VII of England & mother was Elizabeth of York. He married to six women and their names are Catherine of Aragon, Anne Boleyn, Jane Seymour, Anne of Cleves, Catherine Howard, Catherine Parr. Among 6 wives Henry divorced with few while others died naturally. 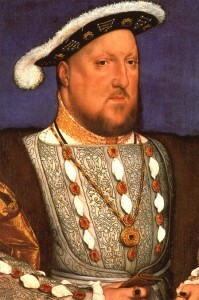 Henry VIII is known for his job in the division of the church of England from the Roman Catholic Church. Henry’s constriction with Rome led to the separation of the Church of England from the papal authority, the closing down of the Monasteries, and his own establishment as the supreme head of the church of England. Henry was generally took decisions with initiation of English reformation, i.e., the process of transforming England from a Catholic country to a Protestant one. Henry VIII had spent his life in House of Tudor and burial at St George’s Chapel, Windsor Castle. Elizabeth I was one of the queens who ruled England and Ireland from 17 November 1558 until her death. Some people used to call her as “The Virgin Queen”, “Gloriana” or “Good Queen Bess” and Elizabeth I was the fifth and last monarch of the Tudor dynasty. Elizabeth I was born on 7th September 1533 at Palace of Placentia, Greenwich, England and she was died on 24th March 1603 at the age of 69 in Richmond Palace, Surrey, England. She was buried at Westminster Abbey on 28th April 1603. Elizabeth I was the second child of Henry VIII and Anne Boleyn. She was born into the royal succession, but her mother Anne Boleyn was expired when Elizabeth I was at two and a half years old. 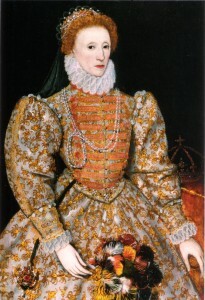 Elizabeth I prepared out to rule by good counsel and she was depended mostly on a group of trusted advisers led by William Cecil, Baron Burghley. One of her first step as queen was the foundation of an English Protestant church, of which she qualifies as the Supreme Governor. Elizabeth I was reign from 17th November 1558 to 24th March 1603. She was born in too many troubles. She decided not to marry in her life because if she marries a foreign man or prince he would put his own foreign rules and policies. If she marries her own country man he could have tried the Queen into conflicting competition. So she never married. Elizabeth I was England national heroine and became an admirer. She as single person handled the reassembly of troops to motivate the victory on the Spanish armada. © 2014 cremationurns All rights reserved.